Harness the power of real-time health data. We help you track, understand and encourage a range of member behaviour and biometrics, including physical activities like steps, running swimming and sleep. Nutritional data like calorie intake and nutritional composition. Weight, BMI and other biometrics such as blood pressure. 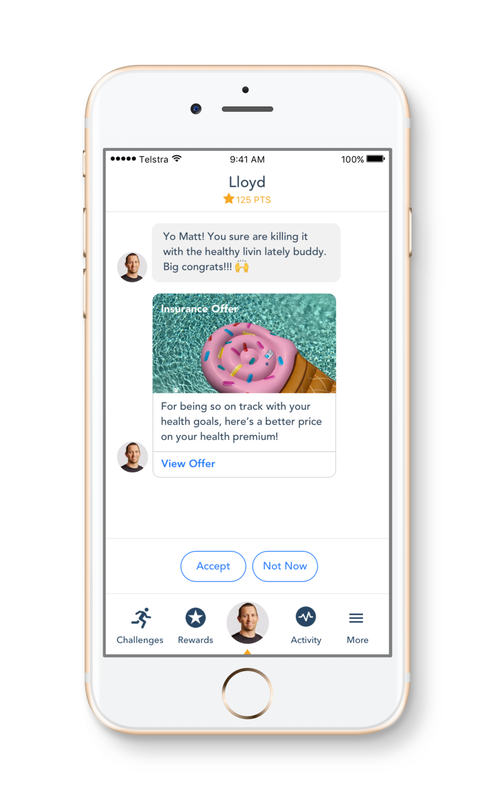 Connect with member health data. Wherever it is. Our platform is data agnostic. We add data sources and types regularly. We are also happy to work with you to integrate custom data sources. You can use our API to continuously pull the data we collect into your own systems to inform pricing and member profiles. With continuous real-time member data, you can design innovative new products, offer dynamically priced premiums and design services that truly reflect your members’ lives. We work with you to design and launch new User Based Insurance and Pay as You Live type insurance products that attract, retain and reward profitable, healthy members. Our conversation engine uses health and behavioural data to understand and adapt recommendations to suit specific user behaviours and preferences. Use biosensor, real-time behavioural data and machine learning to develop new innovative fine grained risk models.